Bhutan is the youngest democracy in the world, but faces a problem that seems tough to surmount. The country, which chose to become a democracy nine years ago, is faced with the task of maintaining cordial ties with India while establishing relationship with other countries—mainly China. Bhutan decided to take the “uphill task” of making the country a controlled democracy at least. Though a government would be formed based on a primary and secondary elections, the defence and foreign policy would be areas where the king would have same control. In 2008, after Jigme Singye Wangchuck stepped down and his son Jigme Khesar Namgyel Wangchuck was crowned , the first government of Bhutan, led by Druk Phuensum Tshogpa (DTP), was formed. “When there was no democracy, Bhutan had relation with 27 countries. But the first government decided to take the number to 53,” said Zangpo. DTP government was known to be pro-Chinese as it formed an informal link with China. Their ministers and officials met senior Chinese officials in different countries in the world. The DTP government did not last long and in 2013 People’s Democratic Party ( PDP) of Bhutan, which is pro-India, came to power. According to Zangpo, “The present government has not increased the number of countries with whom diplomatic relations are be established. But it's considering many countries to establish democratic relations.” He said the government is even considering forming ties with China. Bhutan's silence over Doklam issue is being perceived as a blow to India. In fact, a section of opinion makers of Bhutan has said Bhutan should declare the land in Doklam as that of China. “Tell me where Doklam is located. There is no Bhutanese presence. Bhutanese could not even use the land there or get access to. I think the land should better be declared as part of China. Perhaps that would stop India use Bhutan as a weapon against China,” Wangcha Sangey, political commentator in Bhutan told THE WEEK. The government of the day is found to be at the crossroads. Neither can it go against the India and nor can it stay away from forming ties with China. Even since the 2007 Indo-Bhutan treaty, in which it was said for the first time that Bhutan would have its own sovereign foreign policy that would not be guided by India, Bhutan is under tremendous pressure within to expand globally. But for a country which has heavy Indian military presence, it would be difficult to ask for complete withdrawal of Indian Army. Indian military is working tirelessly on Rs 2000 crore yearly DANTAK project to create roads and other basic infrastructure in Bhutan. “The government could not deny that. Also, the pressure within the country which is a new democracy could not hold it back from moving towards China. 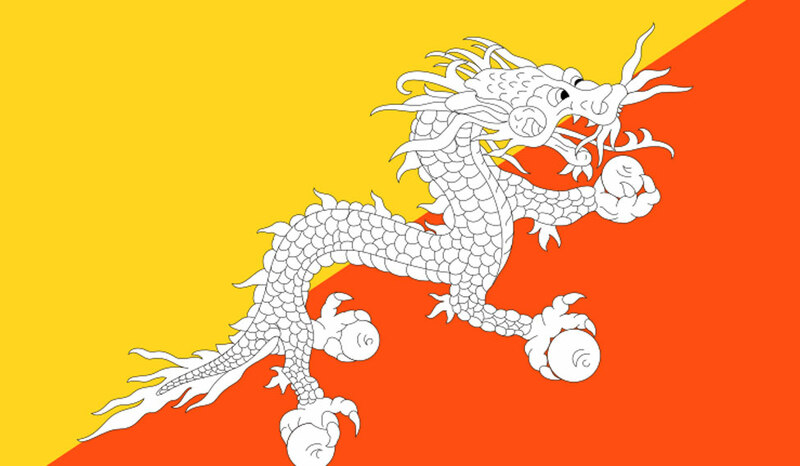 Bhutan is therefore at the crossroads,” said an academician at Royal College of Thimpu. Youngsters in Bhutan, where internet and television came in 1999 and 2000 respectively, see China more than India as a country that could help realise their dreams of flying High. “We measure our growth not by anything else other than our happiness. But in India we don’t find happy people around. I studied in India...except rich people, nobody is happy in India. China is different in this regard,” said Kiney Wangchuk who studied in a Chennai engineering college. The country, which first took the side of India during Bangladesh war in 1971 and during Indo-China war in 1962, is now so divided. It has therefore decided not to take side and asked India not to force it to criticise China. This is because time has changed and with it people’s aspiration.